Major Beverly-Ann “Bev” Cue was born May 27, 1941 in Cincinnati, Ohio to Lorraine and Frank Cue. She was the oldest of six children (Frank Cue Jr., Joyce Cue, Carol Cue, Patsy Vaughn and Verna Johnson. She had one daughter, Pamela Cue-Green, two granddaughters, Khalia and Keisha Jenkins and one grandson, Shawn Green. Beverly’s earlier years were spent in Cincinnati, Ohio. She attended Cincinnati Public Schools, where she excelled in her studies. In her formative years she helped with her brothers and sisters while under the direction of her mother. Beverly was a fighter and she had a robust curiosity about the world and education. She knew that there was more to life. At the start of her college years, she was denied access to the University of Cincinnati College of Nursing Program due to cultural insensitivity. Her life took a different direction. She began her nursing career path at Copley Memorial Hospital School of Nursing in Aurora, Illinois. After, finishing her program there, she went on to earn her Associates Degree at Kennedy-King Jr. College, her BSN at DePaul University, and finally earned her Master’s degree in Nursing. She joined the United States Army as a First Lieutenant in 1974. This launched her journey around the world where she would go on to speak several languages, live in many locations all over the world, and fall in love with the little town of Verona, Italy where many of her years were spent spreading her love and laughter with wine loving travelers from all corners of the globe at the Enoteca Dal Zovo owned by she and her husband Oreste Dal Zovo. Beverly believed strongly in the transformative power of education. She became the first black female Chief of Nursing Education at West Point Military Academy and pushed everyone she knew to pursue an education. In a military news article, she was featured as the only black female Major at Ft. Lewis; she stated that, “You learn as much as you can, then you teach that knowledge to others so that they can learn and in turn teach others.” This was truly a phrase that she lived by. Beverly was a trailblazing pioneer and role model. Beverly returned to the United States in 2012, she joined Ebenezer Baptist Church in Atlanta, Georgia under the direction of Reverend Raphael G. Warnock, PH. D Senior Pastor. She deeply enjoyed the sermons and the songs of praise and worship. Beverly leaves to cherish her memories her daughter Pamela Cue Green (Matthew Green Jr.); granddaughters Khalia and Keisha Jenkins; grandson Shawn Green (Kim), brother Frank “Brotha” Cue Jr. (Mavis); sisters Patsy Vaughn (Grady) and Verna Johnson (David); 7 great grandchildren, and a host of nieces, nephews, cousins, and friends. 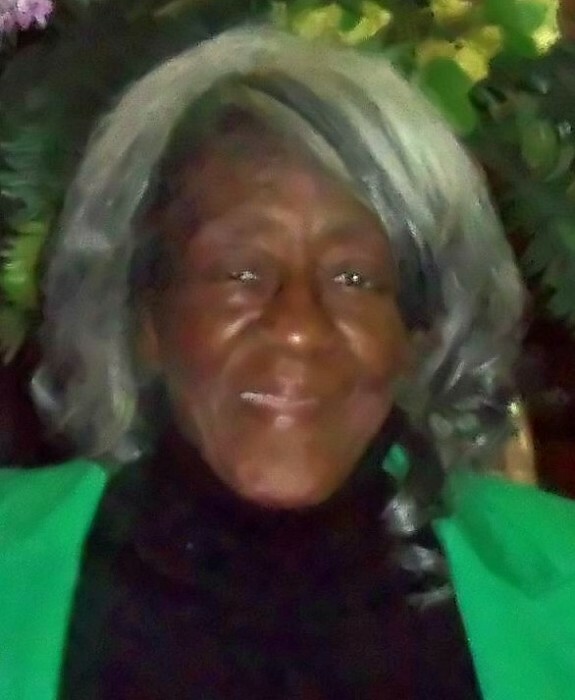 Visitation is from 11:00 am until 12:30 pm on Thursday, April 18, 2019, at the Greater Emanuel Apostolic Temple, 1150 W. Galbraith Road, Cincinnati (45231). The funeral service will immediately follow the visitation beginning at 12:30 pm. Interment will follow at Walnut Hills Cemetery, 3117 Victory Parkway, Cincinnati, Ohio 45206. To share a memory of Beverly or leave a special message for the Dalzovo family, please click the "Tribute Wall" tab above and to the right, enter the information, and click "Save Post." Walker Funeral Home, 2625 Gilbert Avenue, Cincinnati (45206) is serving the Dalzovo family. Please call (513) 251-6200 or visit www.WalkerFuneralHome.com for additional information.